Antilia is described by its creators as “an MMORPG featuring a beautiful world, original races, unique gameplay, and an innovative storytelling system!” Brought about by Jeff Leigh and the crew at Right Brain Games, this new multi-player game is currently in the testing and programming stage — and has a Kickstarter campaign up to get things brought to the next level. According to Jeff, “With Antilia, we are creating a unique and beautiful science-fiction/fantasy world, populated by distinctive anthropomorphic races. If you’ve heard of Antilia before, it’s because we have spent several years refining our process and building the game’s foundation. Antilia has had public alpha tests for the past two years as we developed, and are confident we can deliver a quality game.” Find out more by visiting Antilia’s web site, or by checking out the preview trailer up on YouTube. Where have we been? Looks like even classic toys are taking on a furry angle. 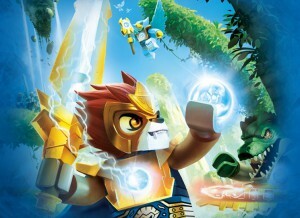 Legends of Chima is a new line of Lego toys the world-famous plastic brick system introduced this year. From the Wikipedia entry: “Chima is a land where anthropomorphic animals lived in peace with one another until a conflict caused a civil war with the eight animal tribes: Lion, Eagle, Raven, Wolf, Gorilla, Rhino, Bear, and Crocodile. The members of the factions fiercely battle over a powerful natural resource called Chi, which could allow its possessor to create or destroy.” The toy sets are already available — and a TV series based on the line has already been produced by Prime Focus for the Cartoon Network. Later this summer, a free MMORPG of Chima will be available on line as well. OGPlanet, a publisher of free-to-play, massively-multiplayer-online, downloadable PC games, has announced that their new game Gundog has entered its beta-test phase. In Gundog, a third-person shooter with card-collection elements, teams of anthropomorphic canines fight in a World-War scenario. The game involves six different character classes, and two rival camps (Union and Empire). The beta-test phase runs over April 4-8. It appears Earth Eternal is not so, as it was shut down for the second time on November 21st, 2011 at 9:00PM EST. No reason was cited, but the game's website (and that of its Japanese version, Ikimonogatari), were withdrawn, with an announcement on the project's Facebook page the sole notice — much to the outrage of fans in the comments. Earth Eternal, which was billed by some as a furry MMORPG, and which went offline in September 2010, is about to be relaunched in North America under its new ownership. Formerly run by SparkPlay, the new version, described as revived and revamped, will be operated by Outblaze and TurnOut Ventures. Although rumors have abounded for months that a relaunch might be forthcoming, it was only recently that there has been a more definitive announcement that a beta would be launching shortly. The new game will have some differences from the old. Only twelve of the twenty-two character races from the original will be available. There will no longer be a browser version, and a Facebook account will be required. The changes to the game made it impossible to preserve characters from the original, so all players will need to start over (and according to their website, characters created for the beta release will be deleted at the end of the beta period). Some have already been playing the Japanese version, and report that the character models have been somewhat altered to a more Japanese styling. Despite some differences, the overall look and feel and the gameplay are much like the earlier incarnation of the game.